Fort Myers is found in Southwest Florida and it's located in Lee County. The city has a population of about 71,000 residents, while the Cape Coral-Fort Myers Metro area has a population of nearly 620,000 residents. The area is also a very popular spot for tourists and part-time residents. Every winter, the Fort Myers area becomes a haven for snowbirds from up north. This brings a unique mixture of different driving styles to the area and the roads become very congested. Along with the snowbirds, the area is one of the hottest spring break destinations, which causes many visitors to come to Fort Myers from late-February through early-April. Interstate 75 runs directly through Fort Myers. The stretch of I-75 found in Florida is known as the 15th most dangerous highway in the country. Fort Meyers experienced 11 fatal accidents in 2013 and 8 in 2012. The winter season brings a larger population with many snowbirds migrating south. The traffic accidents in both Lee County and Fort Myers are on the rise. If law enforcement officials found in Fort Myers didn't do their job and monitor traffic, the statistics would be far worse. About 60,000 traffic citations were issued in Lee County for 2015. The largest portion may have been for toll violations, but many were handed out for speeding with careless driving also racking up a large total. Only about 5% of the tickets given out were actually dismissed, which means the chances of getting your ticket dismissed are very slim. A suspended license makes life difficult. If you still need to get around, you will be depending on others to help you get to and from where you need to go. You may end up with a suspended license if you become a habitual traffic law violator. If you receive 12 points on your license in just one year, you will lose it for 30 days. Get 18 points in 18 months and lose your license for 90 days. Those drivers getting 24 points in 36 months will lose their license for an entire year. Could you imagine going without the ability to drive for an entire year? After a license suspension, you will have to pay reinstatement fees to get it back and you may have to take a mandatory defensive driving course. If you do try to drive and you get caught, you may face up to 90 days in jail and $500 in fines. Each traffic violation is assigned a point value ranging from 3 to 6 points. The highest amount of points are assigned to offenses, such as leaving the scene of an accident or speeding and causing an accident. Most other offenses are either 3 or 4 points. Keeping points off your license will not only help keep it from getting suspended, but will also keep your insurance rates from going up. 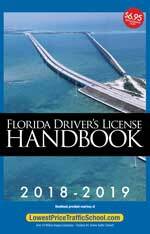 If you get a ticket in Fort Myers, you can use a basic driver improvement course to keep the points off your license. This course can be taken right online, from the comfort of your home. The process is very simple and starts with pleading guilty or no contest to the ticket and paying it. After you pay the fine, you want to inform the clerk of the court that you will be enrolling in online traffic school. Now, you can enroll in the basic driver improvement course and complete it. Once completed, you will be issued a certificate of completion. Just turn this into the clerk of the court and you're all set. If you need to check your eligibility, you can do so through the clerk of the court. 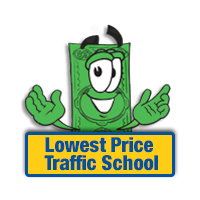 However, if you haven't taken the basic driver improvement course in the past 12 months or 5 times in your lifetime, you should be eligible to use traffic school to keep the points off your license. After getting a traffic ticket in Fort Myers, you will deal with the Lee County Clerk of the Court to pay it or for any other information you need. It doesn't matter which law enforcement agency issued the ticket, the clerk of the court will handle it. Make sure you let the clerk of the court know you will be attending traffic school when you pay the ticket. For more information about the Lee County Clerk of the Court, you can visit the website.